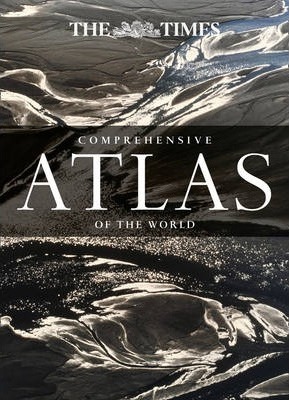 The Times Comprehensive Atlas of the World continues to be the benchmark of cartographic excellence, relied on and trusted by governments, media companies, and international organizations around the world including the UN and the European Commission. New features include a double page map of the Arctic Ocean, new maps of sub-ice features in the Arctic Ocean and the Antarctic, and physical maps of all the continents. Major updates include 5,000 place name changes, most notably in Iran, Japan, Brazil, South Korea, Taiwan, and Spain;Â a beautifully illustrated section on current issues from climate to economy; updated national parks and conserved areas including the Kavango Zambezi Transfrontier Conservation Area (KAZA TFCA), the largest conservation zone in the world; and towns and populations in Brazil and Japan. Other updates include the realignment of theÂ international boundary between Burkina Faso and Niger resulting from the International Court of Justice decision; the addition of Brussel as anÂ alternative local name form for Brussels as theÂ city is officially bilingualâ€”now shown as Brussel/Bruxelles; new administrative structures in Burkina Faso, Cote d'Ivoire, Democratic Republic of the Congo, and Madagascar; and the addition of more than 50 major waterfalls.